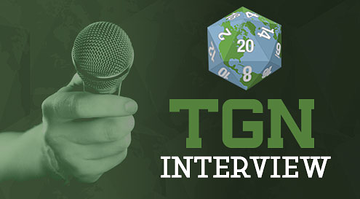 TGN's Enrico Nardini was at TempleCon 2015 and had some interviews with various people there, including the Dicedevils, Outlaw Miniatures, Ninja Division, and Grant Garvin, who is the Director of TempleCon. They're up now on our new SoundCloud account. Go have a listen. TempleCon may be over, but the photos are still coming in from the event. Check out this next set sent in by intrepid TGN Field Reporter and Associate Editor, Enrico Nardini. Those of you looking forward to the new Dark Age: Outcasts releases but bummed they were hitting first at TempleCon 2015 should turn those frowns upside down. 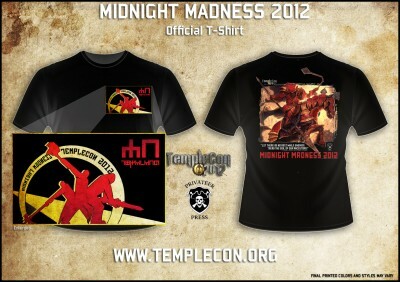 CMON has announced that all the goodies on sale at TempleCon will be available on the Dark Age store at the same time! The sale is live today, Thursday, February 5, to Sunday, February 8. Dark Age: Outcasts Premiering at Templecon 2015! Dark Age fans attending TempleCon 2015 will be among the first to get their hands on the new Dark Age: Outcasts book and figures! 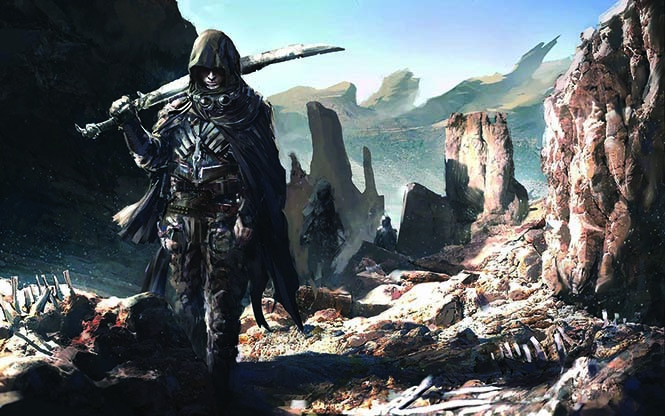 Outcasts marks a new direction in CMON's release format for Dark Age. Originally, a new book was put out yearly at GenCon, but now players can expect to see a new book every six months. This format allows regular expansion of the Dark Age universe through new armies, new rules, and new fiction. Geek Nation Tours is now booking for their Templecon 2015 tour. Geek Nation Tours is proud to announce we are headed out to Providence, Rhode Island for none other than TempleCon! And do they have Punk! No no! Not Punk Music silly – Cyberpunk, Steampunk, Biopunk, Post-Apocalyptic Punk, Neo-Victorian Punk, Dieselpunk, DecoPunk and even Ray Gun Gothic! But since you mentioned music - TempleCon gives you that too. With nightly entertainment, cool seminars, and tonnes of gaming. Yes gaming – you will find loads of stuff for gamers of all stripes – from Boardgames (did we mention the library of free to play board games?) 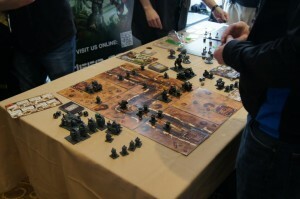 and Role Playing Games to Collectible Card Games and Living Card Games to Tabletop Miniature Wargames. 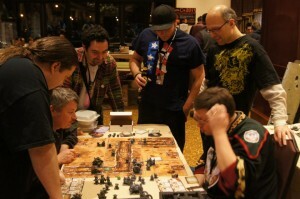 As matter of fact TempleCon has long been known as a mecca to fans of Privateer Press’ Warmachine and Hordes games. It doesn’t end there - add a bit of Vintage Arcade Nostalgia with over 40 retro arcade games all on free play as well as daily high score awards for any high score set on any machine (reset daily), Cosplay (complete with a super cool contest that you will not want to miss) and an element of Cthulhu and you have the humongous non-stop celebration of gaming at it’s finest, that is TempleCon! Lost Hemisphere posts about their successful fundraiser event they have every year at Templecon. Every year at Templecon the Lost Hemisphere crew coordinate a charity fundraiser. For Templecon 2014 they teamed up with the New England Privateers to benefit Colon Cancer research, all funds received being donated to the Dana Farber Institure. Thanks to prize donations from Dragon Forge Design, KR Multicase, Advanced Deployment, Tectonic Craft Studios, The Temple Games, and more across the community, over four thousand dollars was raised. Frankly, the gamer community at Templecon is bloody awesome. Crystal Brush had a qualifier over last weekend at Templecon. Well, they've posted up the photos of the winners. Comparatively, my models look like I painted them with a paintball marker from 100yds away. We had a wonderful turnout at this year’s TempleCon! 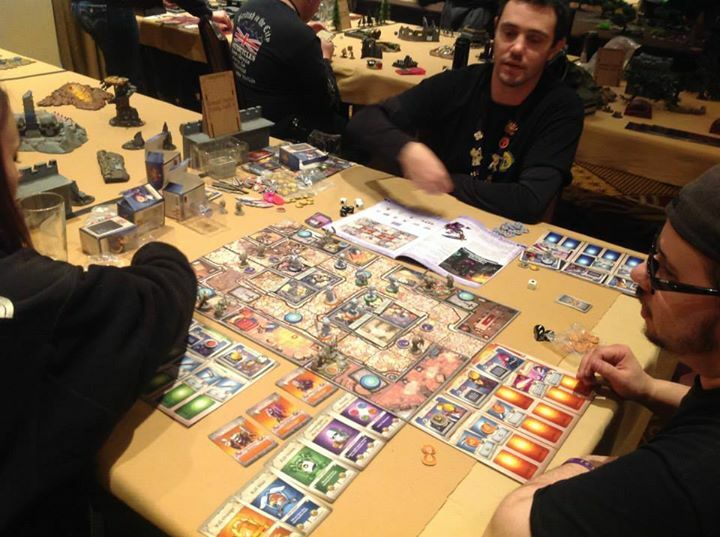 We’re pleased to announce that the overall winner form TempleCon 2014 is Guillaume “Yaum” Juneau’s Mountain King! 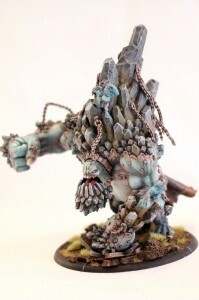 As a winner Yaum has earned a trip to Adepticon 2015! We can’t wait to see what he has to bring! Check out the other winning miniatures here! TempleCon seemed like a lot of fun this year (unfortunately I wasn't able to go), but photos from the event are making their way online. Here's a bunch from my friend Jason Blackstock. On the Lamb Games had a great time at TempleCon over the weekend. 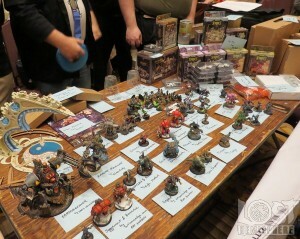 They've got photos of two different events plus a look at some of the minis they brought over on their Facebook page to check out. Hey everyone. Privateer Press held their annual Keynote Panel over at Templecon. It was a nice presentation with a lot of little tidbits in there. Below the break, you can get a summary of what they talked about. TempleCon is coming this weekend and they're holding a Rivet Wars tourney. Fun note about the photo: I know 5-6 of the people in the front right there. This Saturday there will be a Rivet Wars Battle for the Eastern Front Tournament at Templecon. If you going to the convention or are in the area stop by and enter because the tournament is free. Or just stop by and watch and check out the games. It’s a good time to Get in the Fight! Dark Age Games will be in RI this weekend for Templecon. Stop by and say, "Hello" to Murdis and Mr. Black. Give them both hugs. Tell them I sent you. It'll be great. 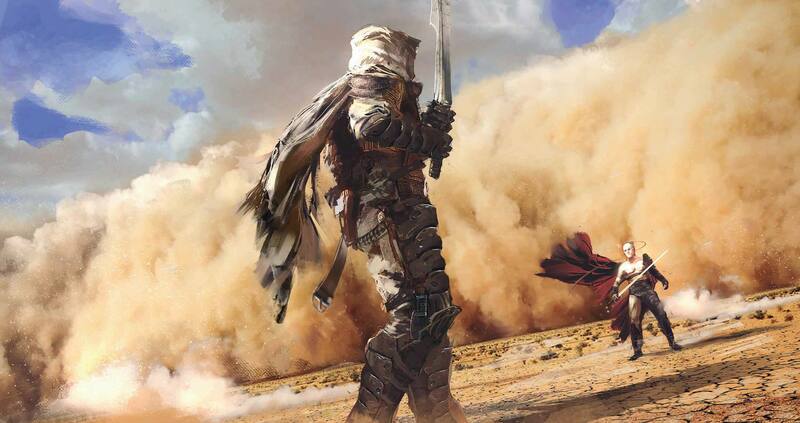 We'll be storming Templecon 2014!! We have near non-stop events running all through Templecon, dear players! Stop in and see myself, Mr. Black, or pick up one of our NEW starterboxes, available here FIRST. This event is for new players or players wishing to learn newer armies. 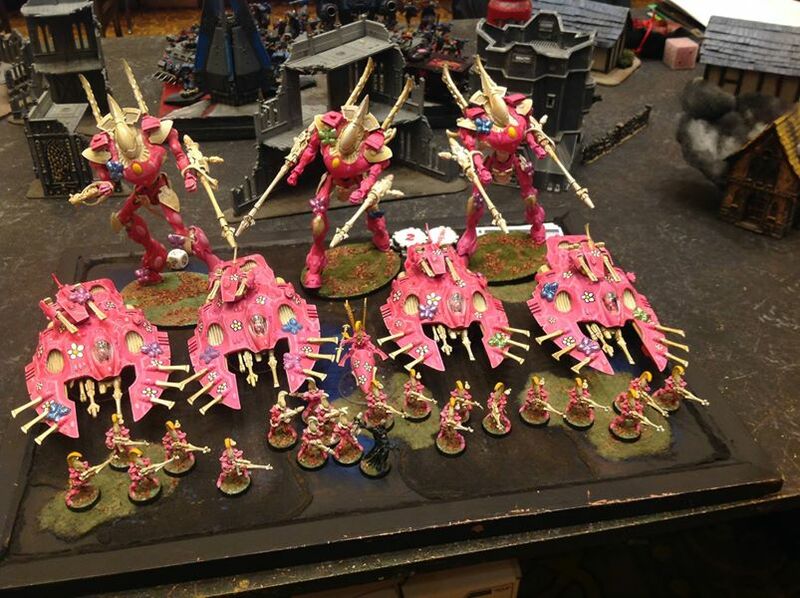 Basically show up and you'll play a mini-tournament, each round playing a new 300 Pt army. A great way to learn the game or discover new armies! 500 Points, players, this is one of your first chances to earn your spot at Immortals 2014- and if we hit 24 the winners gets a round-trip plane ticket to Gencon! Participation prizes will be given out as well. Hope to see you all there, players!! Lost Hemisphere gives us an update about how their Templecon 2014 Charity fundraising is going. Of particular note is Lost Hemisphere's teaming with Mike Pondsmith of R.Talsorian Games; on the prize table for the charity raffle will be six exclusive tickets for seats at Sunday's Bladerunner setting Cyberpunk RPG session run by Mr Pondsmith himself. Lost Hemisphere has posted up some details about this year's TempleCon Charity Raffle. It's all for a good cause, so go check it out. Over the past several Templecons, Lost Hemisphere has coordinated several charity fundraisers. Through the generosity of Templecon’s gaming community we have raised thousands of dollars that have gone on to provide relief for those impacted by devastating floods, respite for victims of Alzheimer’s and their families, and to aid in research and care for children suffering from mental illness. Not wanting to deprive Templecon’s amazingly generous gaming community of another opportunity to help those in need, we’re proud to announce that, thanks to a collaboration with the NE Privateers, the tradition will continue at Templecon 2014. TempleCon will be here before you know it. They've got special event dice, patches and coins available to order from their website. CoolMiniOrNot put up a photo gallery of stuff they've (we've) got going on over at TempleCon. TempleCon is happening this weekend (for those few that didn't know) and while I'm not there, personally, I do have multiple field operatives on-site who will be assisting with reports from such events as the big Dark Age tourneys and Privateer Press' Keynote address. Stay tuned. It's going to be a busy weekend. Privateer Press will be broadcasting their TempleCon keynote address live on their website. No worrying about half-remembered, hastily-typed spoilers from con-goers. We will be streaming the Privateer Press 2013 keynote presentation—featuring our biggest announcements of the year—right here on privateerpress.com! Each year we show off some of our most exciting upcoming products in a presentation at TempleCon. This year’s keynote presentation will be simulcast on privateerpress.com on February 1st at 10 a.m. EST. In addition to showing off several exciting new games we’re releasing this year, we’re also celebrating the ten-year anniversary of WARMACHINE with big announcements for the game and its organized play. You don’t want to miss it, and now that we’re streaming the presentation live on privateerpress.com, you don’t have to! Templecon is coming and Battlefront will be there. Will you? Battlefront is heading to TempleCon and we are really excited to be there, so we want you to come along and play to kick the year off with a bang. We will be running two events; the first is a one-day (five rounds) Tank Aces event whilst the second is a Late-war Axis vs. Allied two-day event (five rounds). This is the first major event on the US calendar so get in now to secure your shot at 12 months of bragging rights! If you think you are already registered, please check the list below and check that you are playing on the correct side. If your not there contact us immediately please. Pre-registrations for the convention (on the TempleCon site) have already closed but you can secure your place by emailing the Battlefront Events team (events@battlefront.co.nz) and purchasing your ticket at the door. Make sure that you let us know whether you will be playing for the Allies or the Axis – if one side fills up first we will let you know. Please note that since places are limited make sure you receive a confirmation email from a member of our events team. 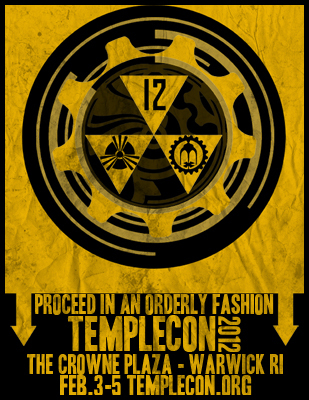 We are excited to attend TempleCon 2012! 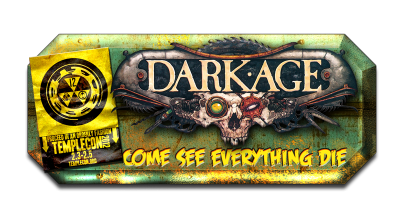 Dark Age fits this years theme, and we couldnt be more happy to bring the Post-Apocalyptic game to the convention. 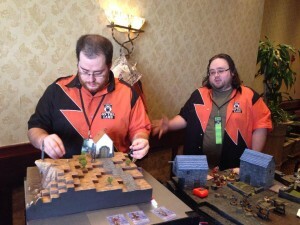 Templecon 2012 is held in Warwick Rhode Island, February 3-5 and Dark Age will be on hand to run demos and a Midnight Rumble event, a 500pt Tournament using the E'Xtreme Format. Pre-registration closes on January 1st, 2012, so check out their website to register for the events. 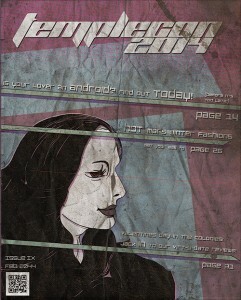 TempleCon 2012 pre-registration is up and they have posted up information about their events. I am looking forward to the convention, and hope to see many of you there! 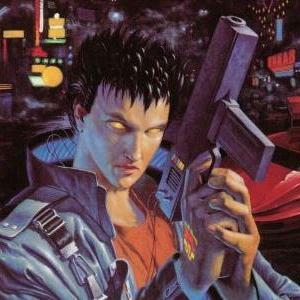 Get ready for the Apocalypse at TempleCon 2012, New England’s revolutionary Retro-Futurist Gaming Convention. TempleCon takes the classic geek culture stereotype and knocks it on its ear, and you can't afford to miss it when we do! Join us this February 3rd-5th at the Crowne Plaza Hotel in Warwick, Rhode Island for the best TempleCon yet! 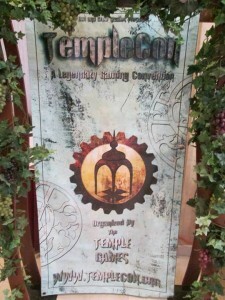 Lost Hemisphere posts Episode 45, about TempleCon 2012. As we move into the last few days before Christmas, right before the kids are all out of school to bug their parents for the holidays, snow for those up North and of course, balmy summer days for those Down Under, I’m reminded of one thing… Templecon’s just around the corner! 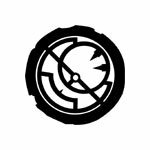 Time to stop being all wishy-washy with faction preferences, time to lock in lists and cram in as much practice as you can before the Lost crew invade our adopted “home” convention. For this episode of Lost Hemisphere Radio, our intrepid hosts brave the fury of the man known only as Hacksaw* to get the skinny on the tournament formats at Templecon, a rundown of what sort of goodies await those who participate, and to generally natter with one of the driving forces behind Steamroller 2012. Join us for the natterings by tracking us down on iTunes (leave us a review! ).